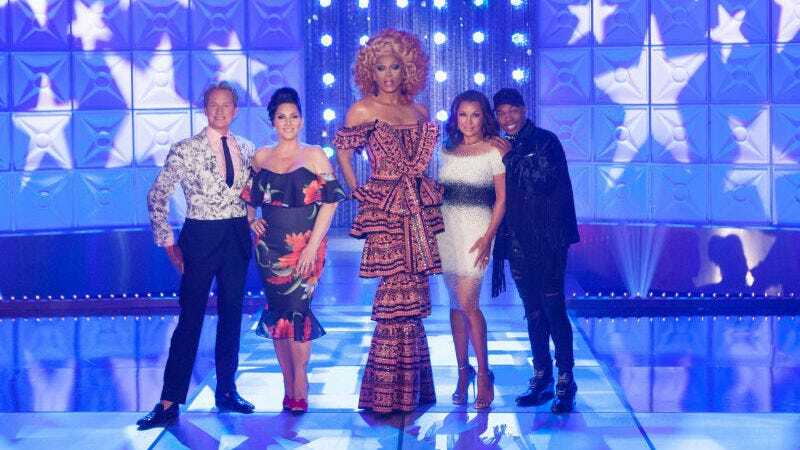 Social media is a minefield for the spoiler averse; log into Twitter to live-tweet an episode of RuPaul’s Drag Race All Stars, and you could find out (or reveal) who done already done had herses. But the producers behind the reality TV series are not playing around with accounts that are devoted to spoiling the results of the latest challenge. As Deadline reports, World Of Wonder has filed copyright infringement suit against the anonymous users behind multiple social media accounts. WOW’s complaint lists the folks behind “RealityTVLeaks” accounts found on Instagram, Twitter, and Reddit. Apparently, the defendants “obtained copies of episodes of All Stars... and have uploaded them” to those platforms before the episodes actually air. The defendants “brazenly tout their posts as ‘leaks’ and ‘spoilers,’” so there’s no pretending that they’re just providing previews. Not only that, but the people behind RealityTVLeaks have also “removed copyright management information identifying WOW as the copyright owner and author of the Episodes, and added misleading copyright management information to the Episode clips they leak online, falsely identifying Defendants as the copyright owners and authors of the Episodes,” which is... bold. World Of Wonder sent takedown requests to the social-media platforms, and as of February 9, all three have deactivated the pertinent RealityTVLinks pages. The production company is seeking “statutory damages of $150,000 for each separate All Stars Episode infringed” as well as attorneys’ fees and other unlisted damages.